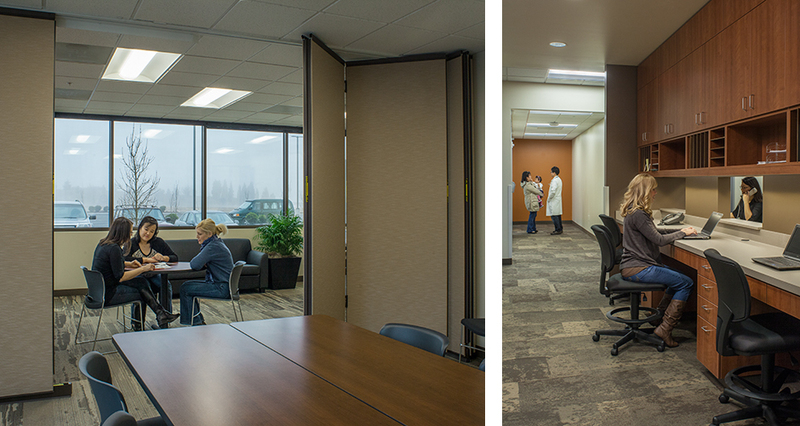 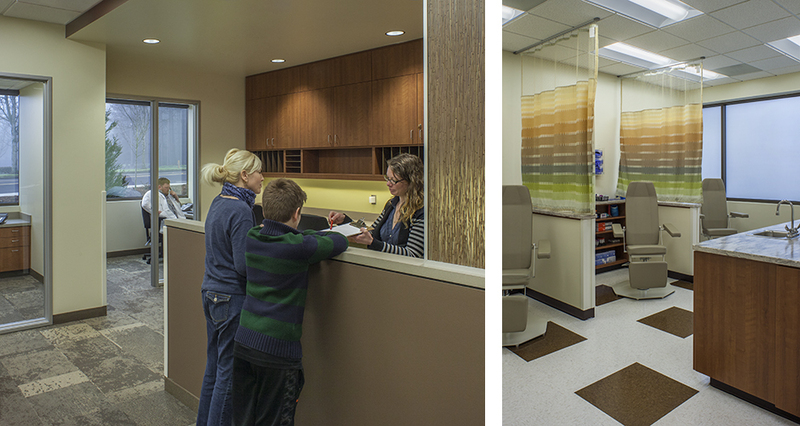 This 23,000 SF space is the newest addition to Salem Clinic’s five primary care clinics. 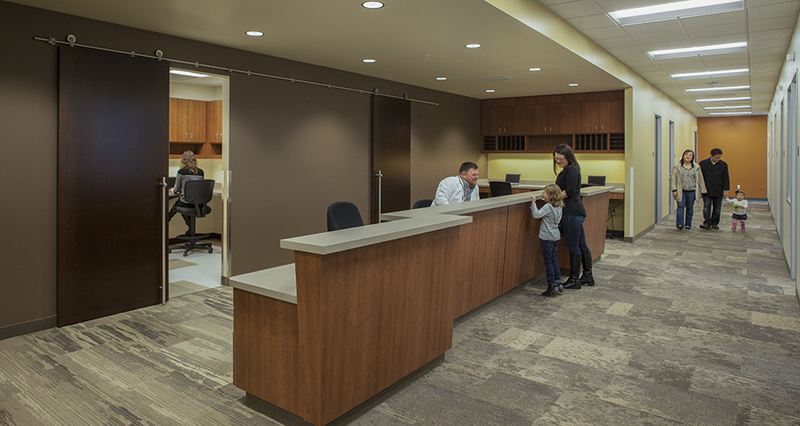 In addition to the 45 exam rooms and nine nurse stations designed for 15 primary care providers, an urgent care wing accommodates another nurse station and nine additional exam rooms. 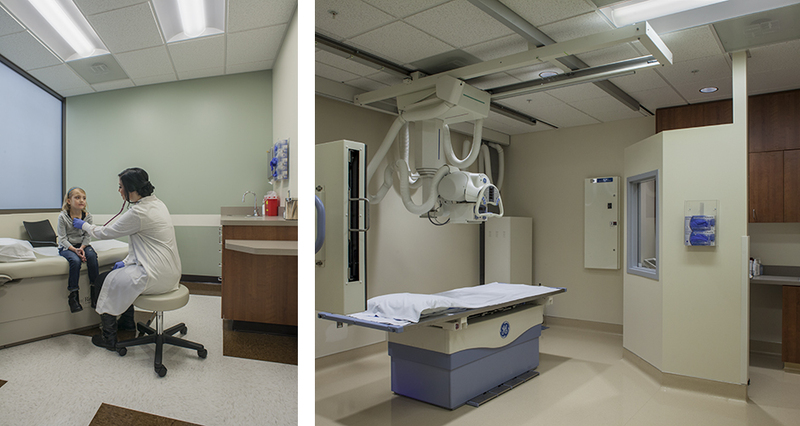 The clinic is complete with an in-house laboratory as well as complete radiology capabilities. 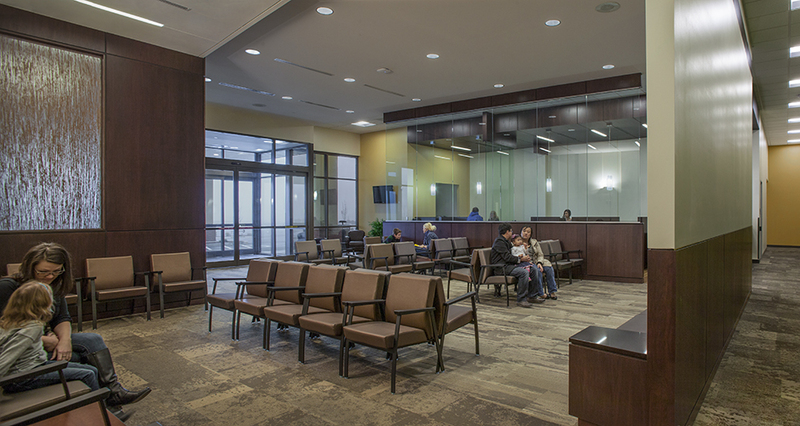 The finish palette is comprised of complementary natural colors and textures, punctuated with bold accent colors used to aid in wayfinding and break up longer expanses of corridor. 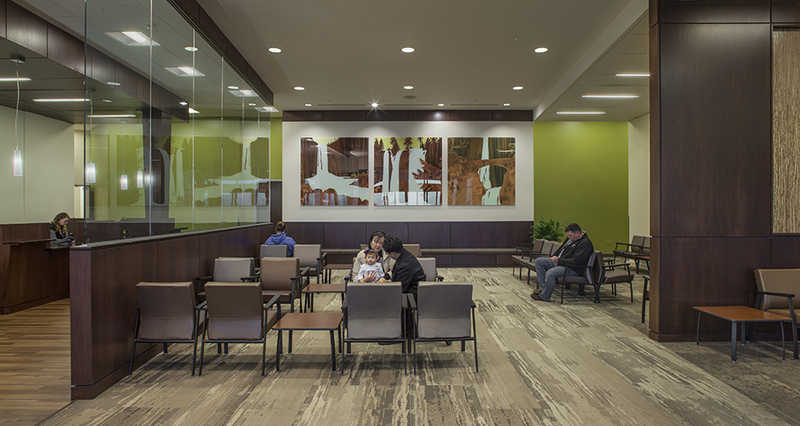 The artwork in the waiting area was composed by a local artist and depicts three Oregon waterfalls.